You’re just a few clicks from getting Mexico Car Insurance. Hi, Jim your Mexican Auto Insurance Guru here! I love traveling to Puerto Penasco (Rocky Point) for family fun or Baja Mexico for a scuba diving trip, so let me make some recommendations as you look which Mexico Car Insurance Policy works best for you. We provide quotes from five A.M. Best Mexico Car Insurance Companies that have excellent financial stability! We offer Standard Mexico Liability, Standard Full Coverage, and Enhanced/Deluxe Full Coverage Mexico Car Insurance. It gets better! If you have any questions during your quoting, buying, or printing experience, you can call our Toll Free 800 number, click on the Live Chat button or email us and we will provide you with great Mexico Insurance customer service every time. If you’re looking for the basic policy to meet the Mexico Government liabilityrequirements, then the standard Mexico Auto Liability policy is perfect for you. Just know that if anything happens to your car while traveling in Mexico, you are on your own. The next step up is the Standard Full Coverage Mexico Car Insurance policy which includes liability, comprehensive and collision coverage’s similar to United States auto policies. However, the policy excludes partial theft, vandalism and pays Mexico body shop rates to fix your car. If you are only concerned with the complete theft of your car, this policy may be a good choice for you. The most comprehensive policy we offer is the Enhanced/Deluxe Full Coverage Mexico Car Insurance policy. It includes the partial theft, vandalism and pays United States body shop rates to fix your car. Hi, Jim your Mexico Vehicle Insurance Guru here again! For my daily drive vehicle or 65 Mustang, my choice is to pay the few dollars more for the Full Enhanced/Deluxe Mexico Car Insurance policy to ensure I have total protection so I can enjoy a great drive and sleep well. 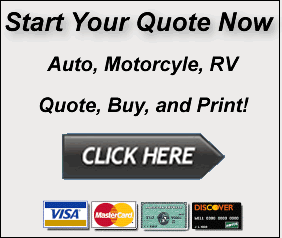 ← Buy All Your Mexico Insurance Online Today!